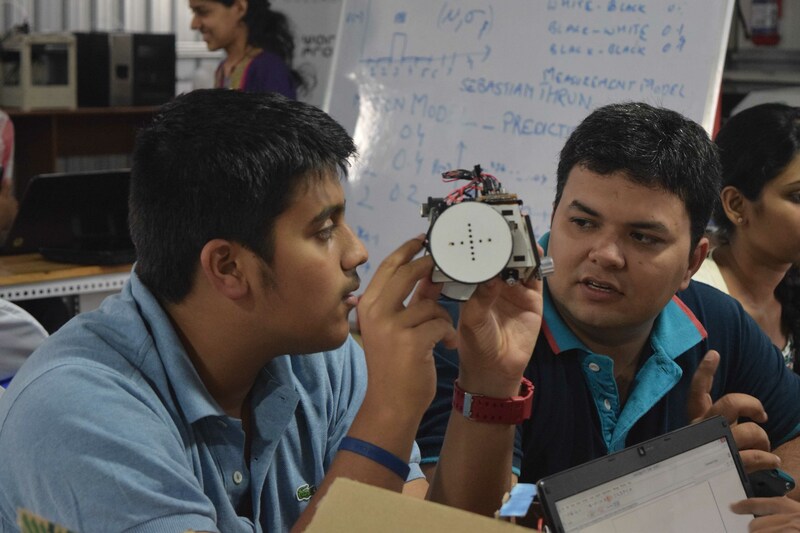 Let’s Put the Power of Innovation in Your Hands! 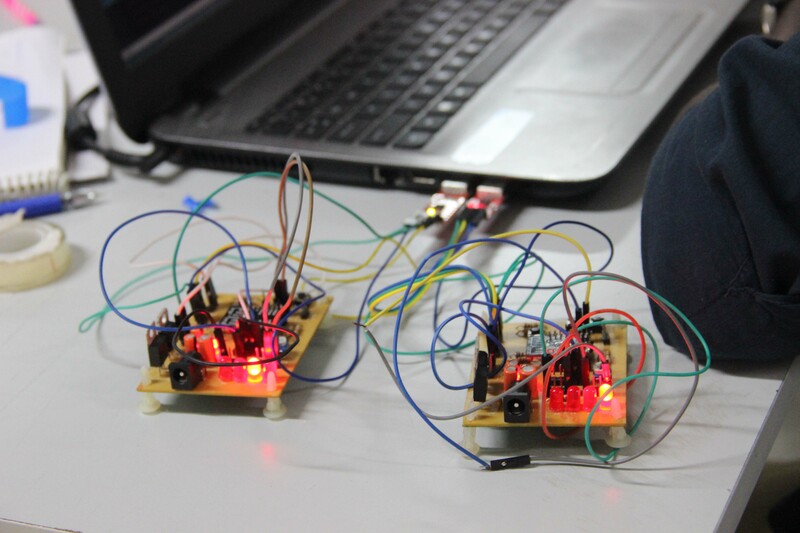 Workbench Projects is a platform that was created to enable creation. We want to facilitate, inspire and motivate just about everybody to give their creativity a voice and a vision. What we bring to the table is our growing space with all the technology that you could ask for, experts, advisors, mentors, and investors. All you need to bring is an idea or the desire to tackle our society’s many problems with a fresh pair of eyes. It’s a Bring-Your-Own-Idea Party and everybody’s Invited! 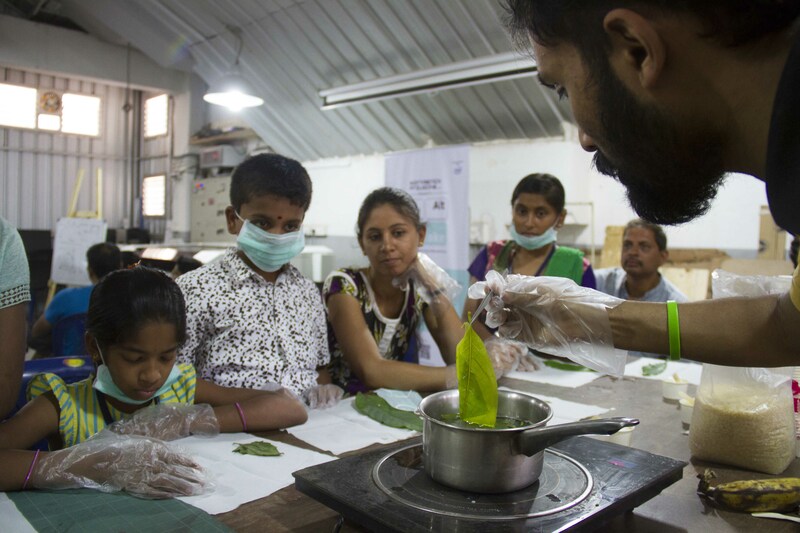 At the heart of our mission lies our passion for innovation and this remains one of our core principles. 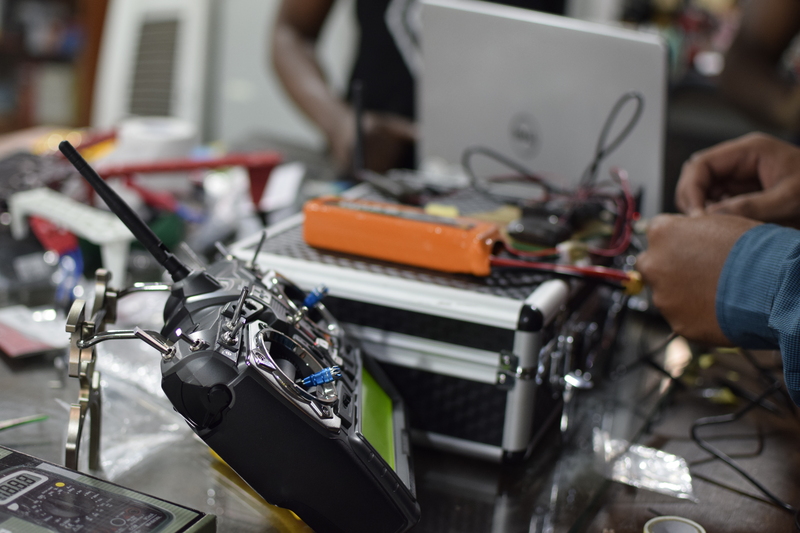 All our services and systems are designed from the ground up to draw out and encourage innovators who are working on ideas that collectively move us forward. 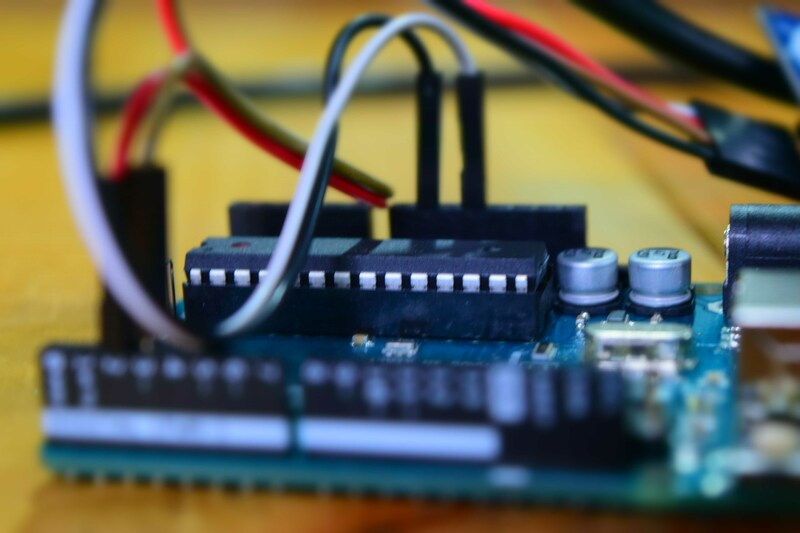 Workbench Projects is perfectly placed to send your start-up into hyperspace with our network of investors and advisors. 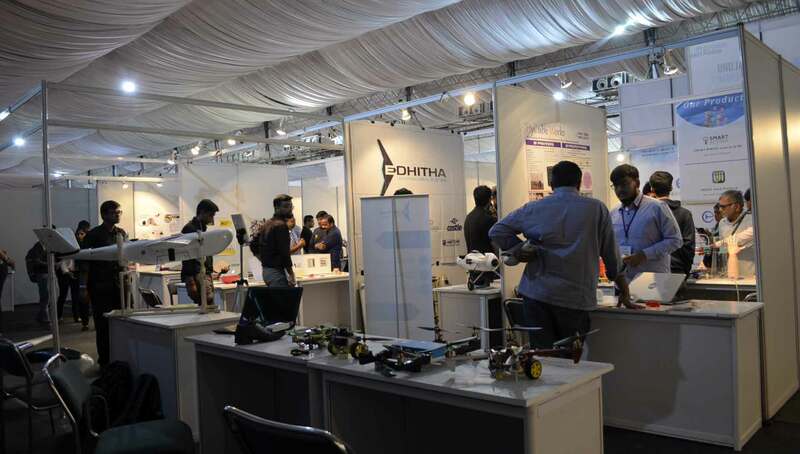 With us by your side, you and your product will come to market geared to weather the ultra-competitive battleground that is India. 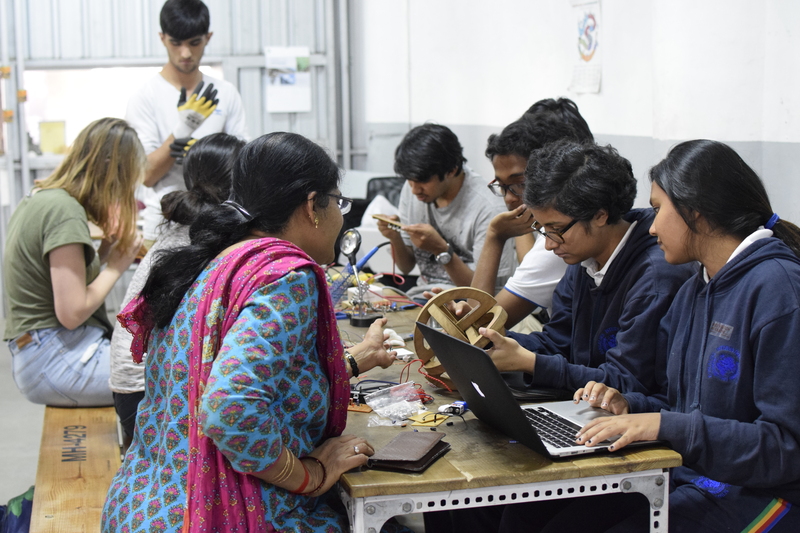 Enable Makeathon was our flagship initiative with ICRC to create next-gen affordable assistive devices for persons with disability solving for the majority of the population in rural India. 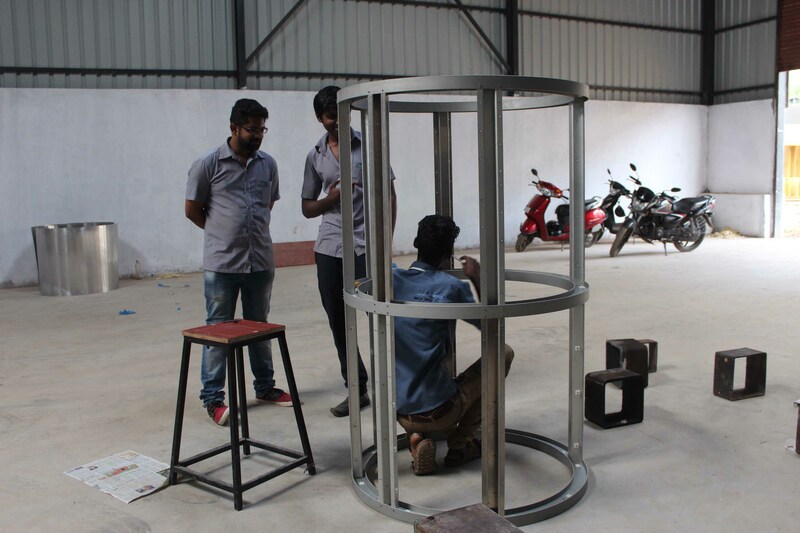 This was a 60-day programme where three winners were rewarded up to $50K and 5 prototypes were considered to be taken to the production stage. 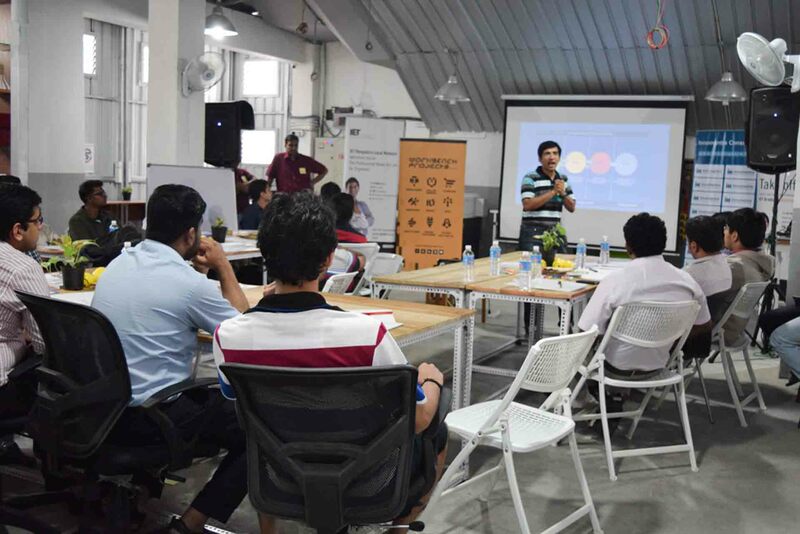 The program was designed with specific interactions for the participants and the sector they were innovating for through exposure events like Challenge Days, Immersion Days, Business Bootcamp, Maker/Prototyping Days finally culminating on Demo Day. 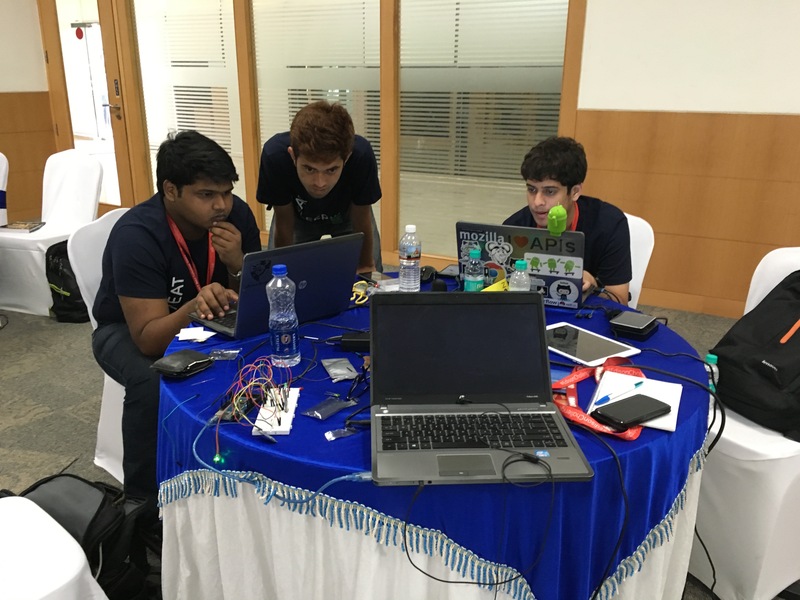 Insurance company SwissRe collaborated with IBM in 2016 for two global hackathons in New York and Bangalore to create apps revolved around insurance. 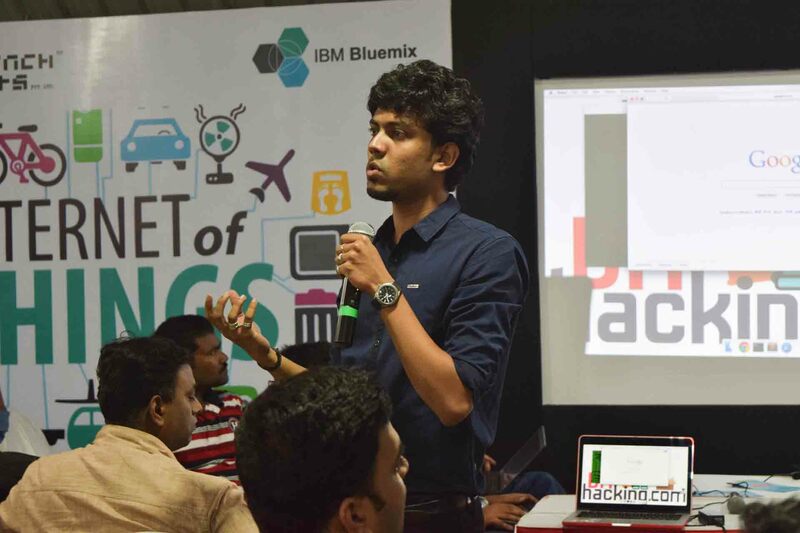 Workbench Projects hosted the 2-day Bangalore session, which saw developers compete to create mobile or web apps on the theme “My personal risk advisor” with at least one Watson cognitive component from the IBM Bluemix suite. 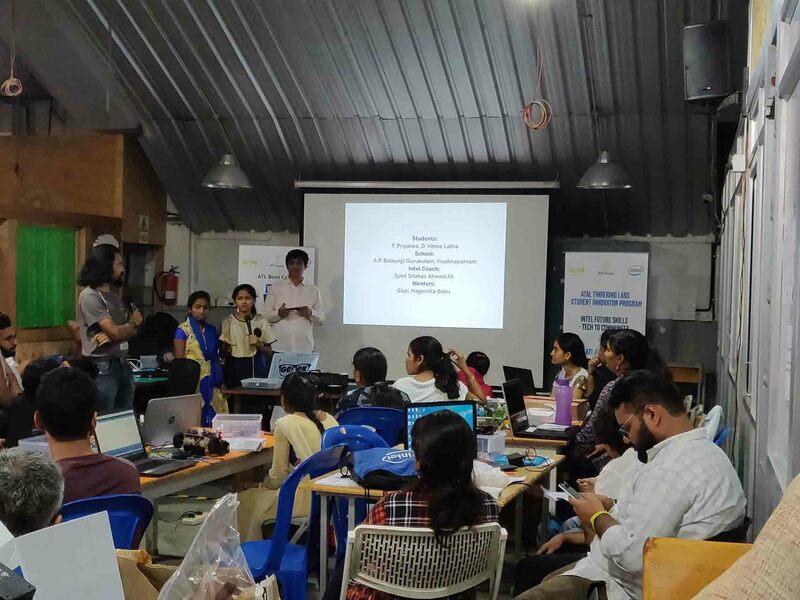 The Mindtree Foundation came to Workbench Projects to build an app that converted text to speech for visually impaired school students. 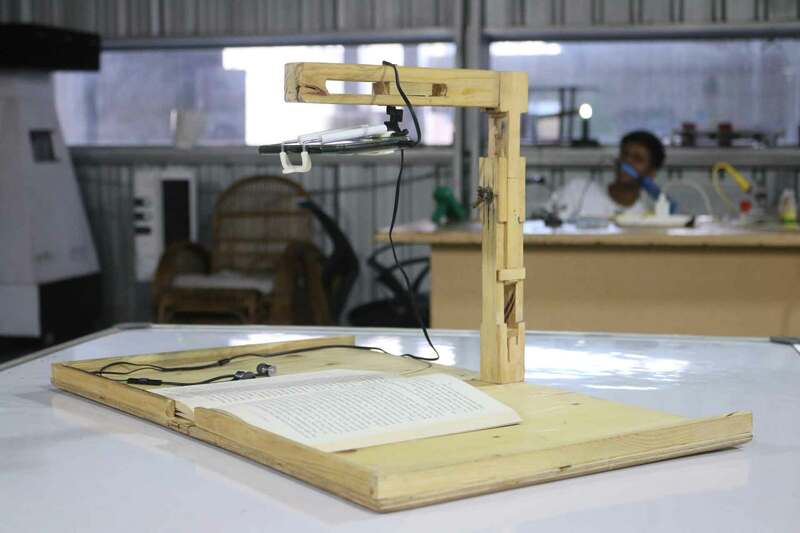 The app uses the camera to scan for text from the books that it is held over and reads it aloud. 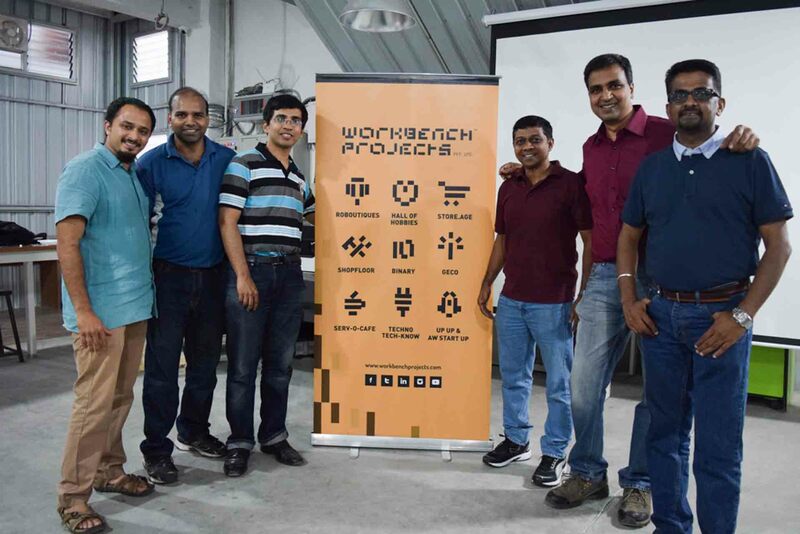 Workbench has designed and prototyped several versions over the last 15 months and is now working on distributing 50,000 phones with the app in South India. 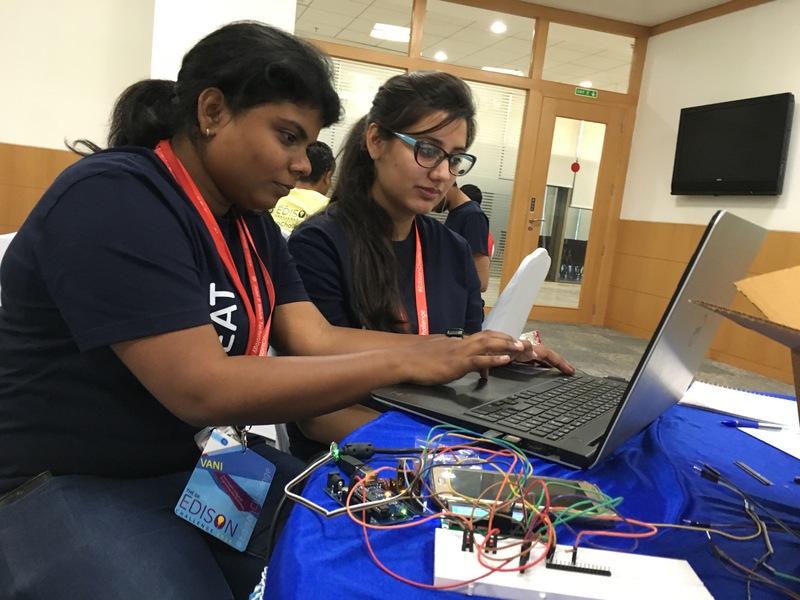 The GE Edison Challenge is a hackathon for students in India, organized by the GE India Technology Centre. 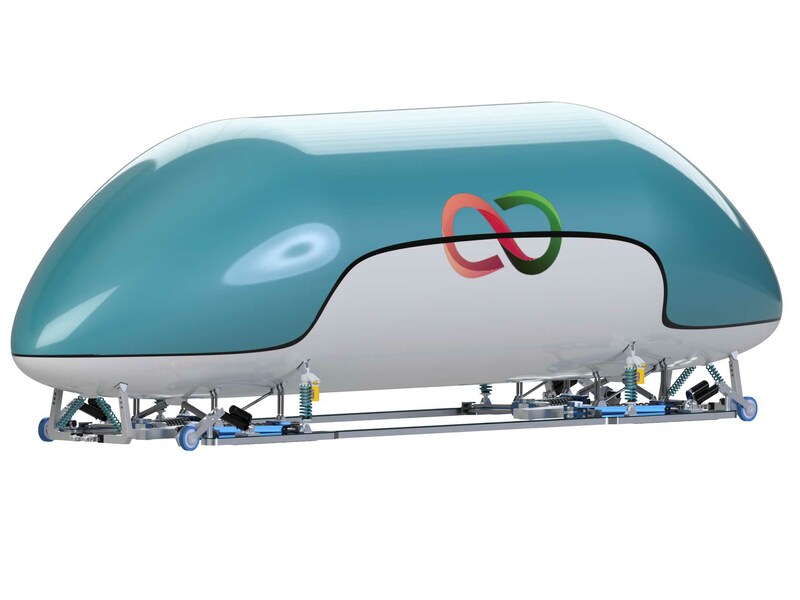 Workbench Projects conducted the challenge, which focused on energy, transport and health, in 2016. 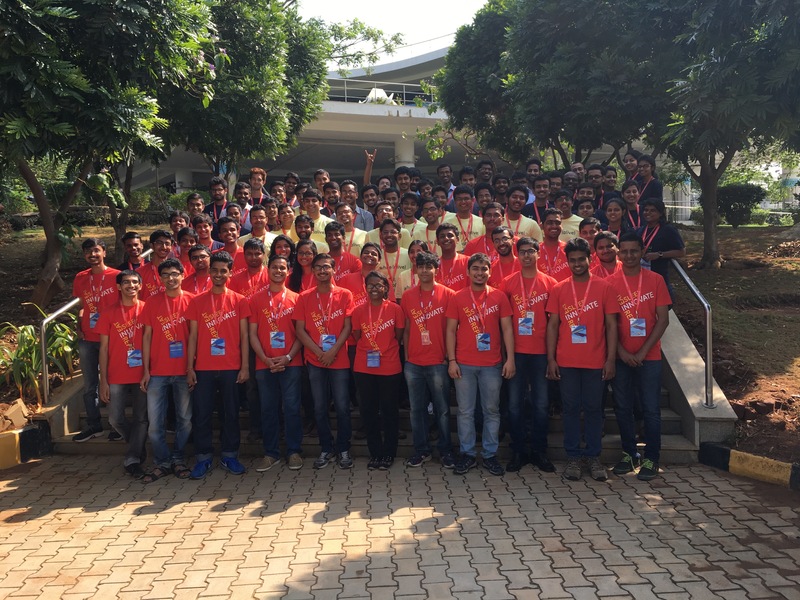 Participants from all over India entered their innovations and 25 finalists were chosen to present their ideas at the John F. Welch Technology Centre in Bangalore, India. How do we Handhold Creation? You bring us your little egg of an idea and we will help you nurture it and see it safely hatch to reality. 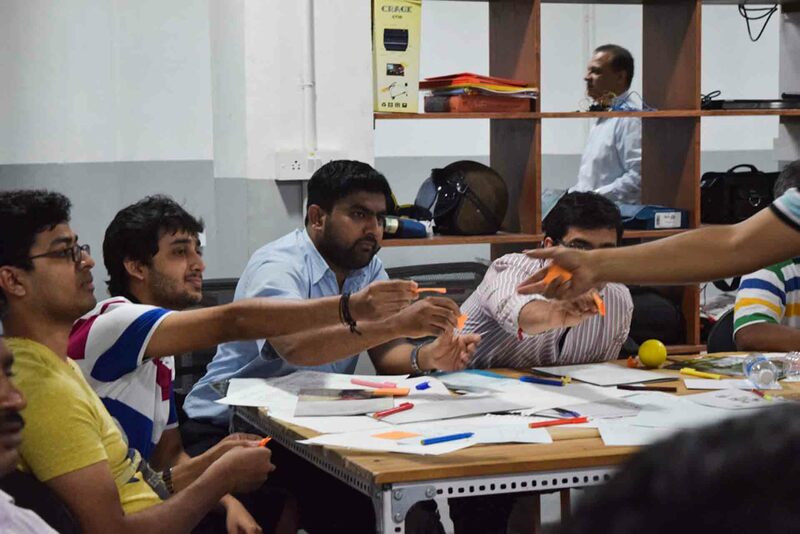 You can be just about anybody, a student, an enthusiast or an entrepreneur, and you want to design, prototype, produce, and distribute your product. Or you want to connect with the right mentor or find an investor, or just collaborate with a club. 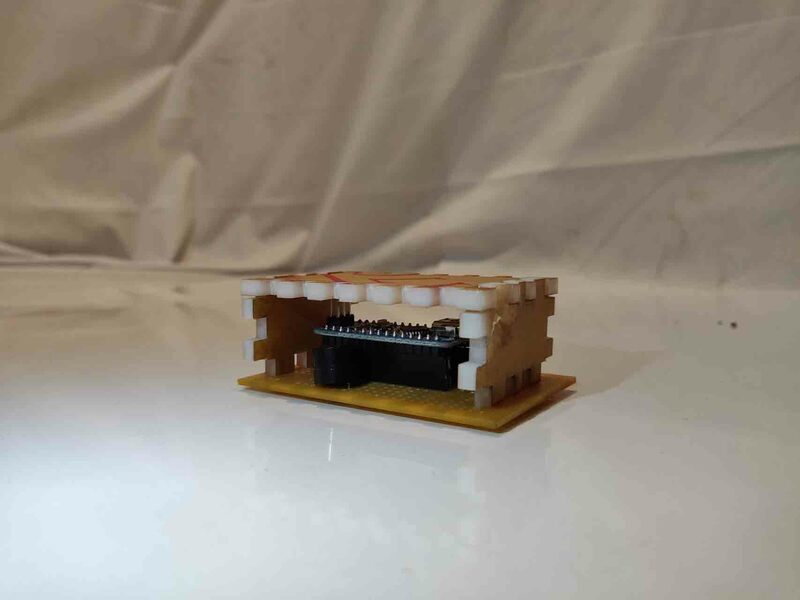 Workbench Projects has what you need to get that idea out of your head and into the world’s hands. 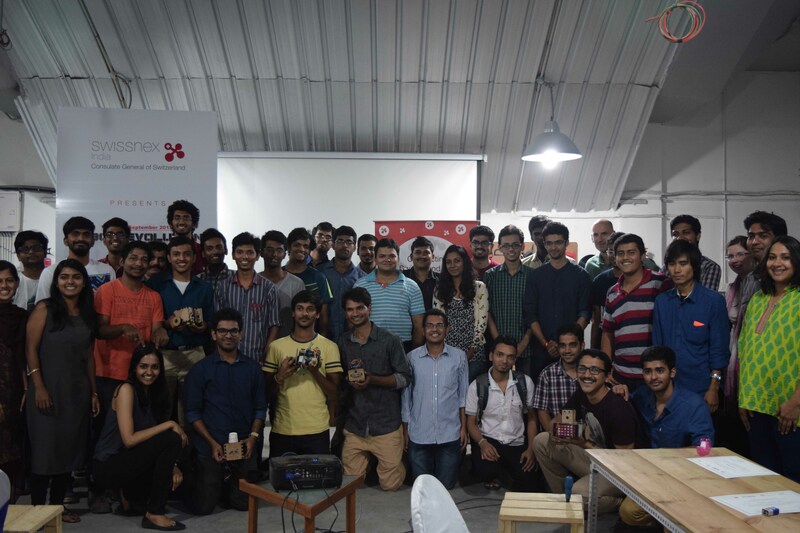 Workbench Projects hosted 20 students from UWC Mahindra College for a 7-day innovation and prototype program. 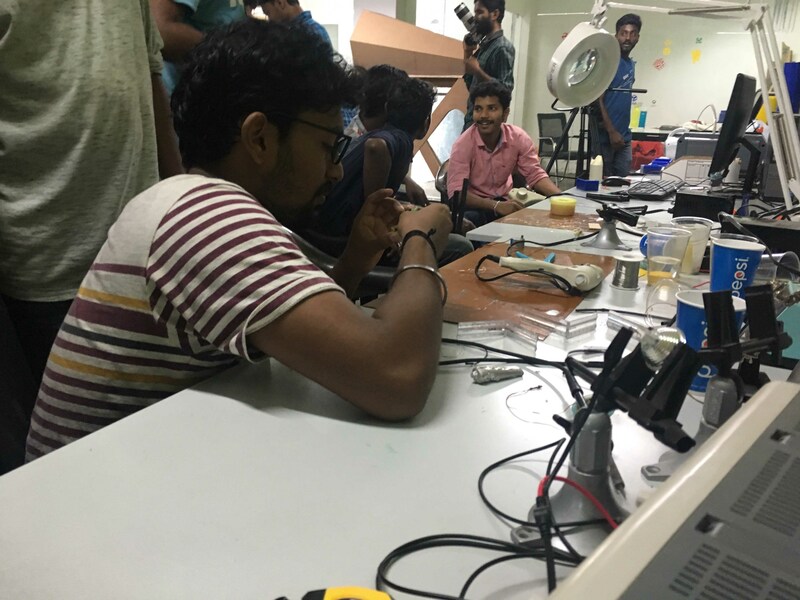 The students brought their own projects, which Workbench helped refine over the month prior to their engagement at our facility in Bangalore. 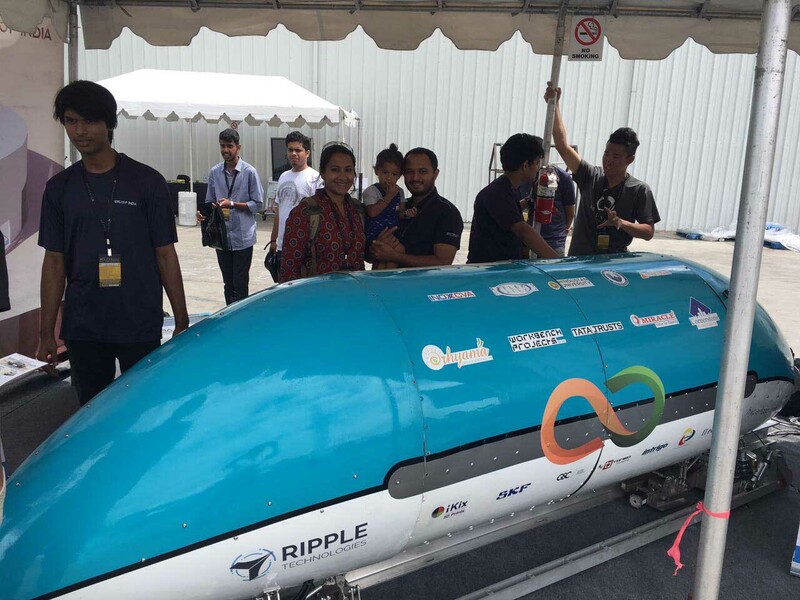 Hyperloop India worked with Workbench Projects to design, prototype and manufacture a transport pod for the international SpaceX’s Hyperloop pod design competition. 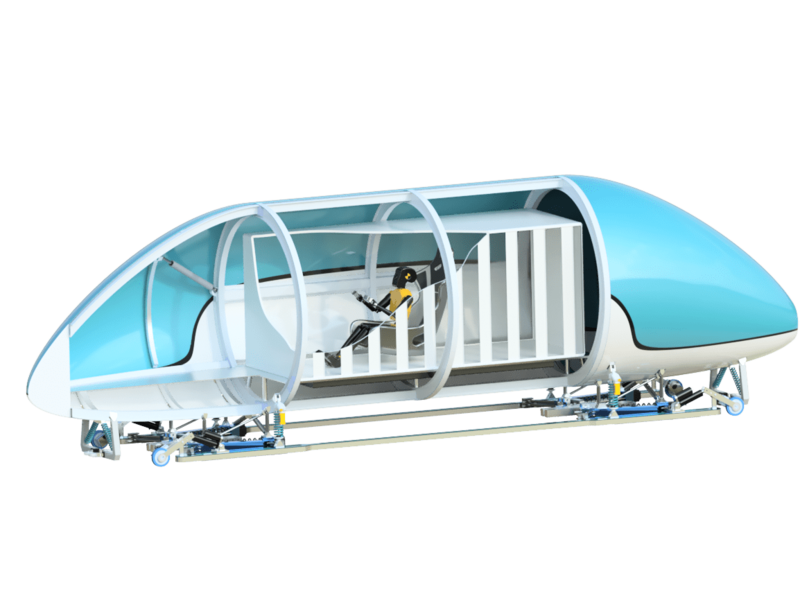 The pod, dubbed ‘Orcapod’ and built to withstand speeds up to 460 kph, was selected as a finalist and shipped to California for test runs. 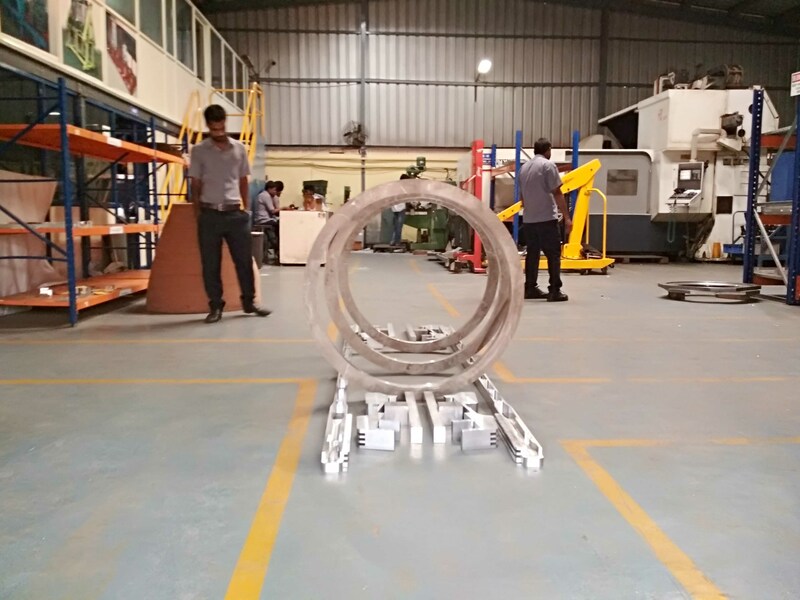 Workbench also secured funding for the manufacture of the project in Peenya, Bangalore. 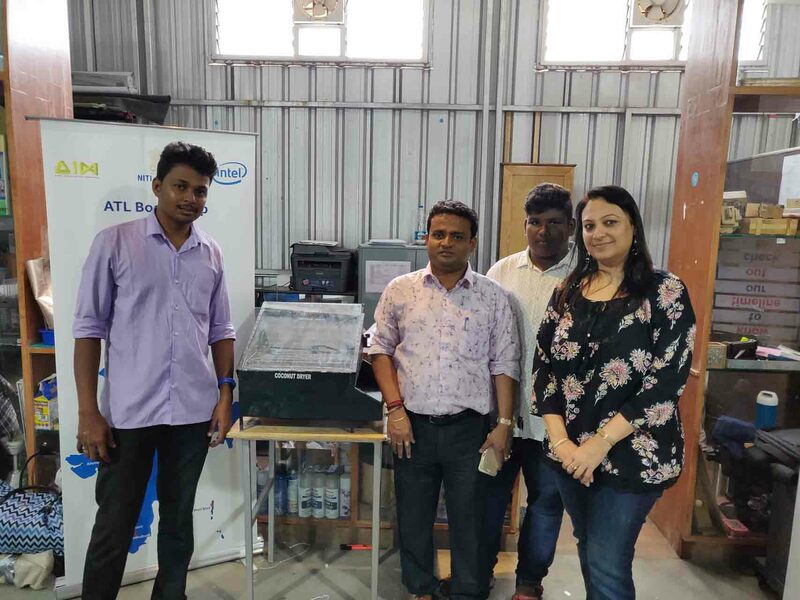 A 4-day residential engagement in 2018, hosted in collaboration with Atal Tinkering Labs and Intel. 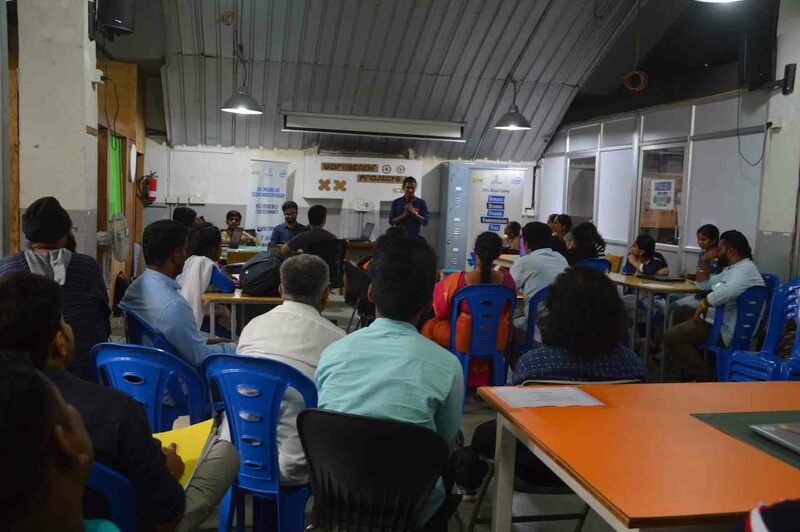 Students from as far as the Andaman Islands and northeast India submitted designs and project proposals and 17 teams were selected for the residential. 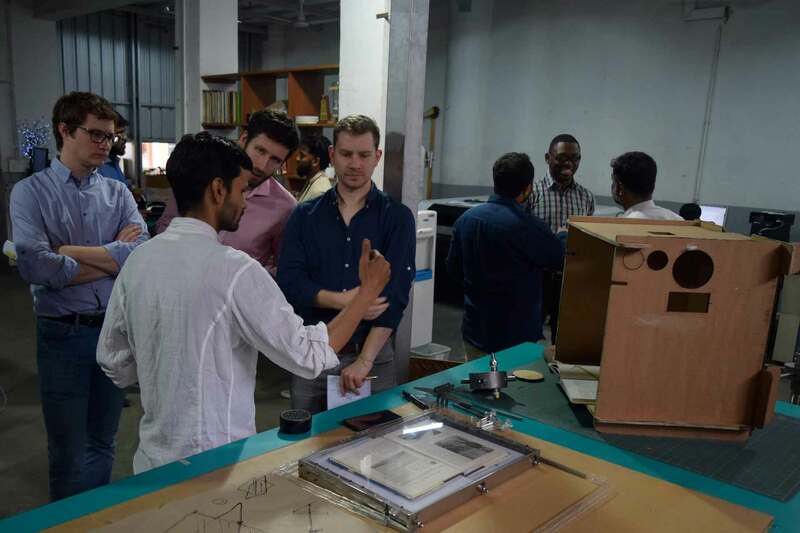 The program included a show-and-tell of their project to potential investors and industry bigwigs, sessions on intellectual property rights, business development and entrepreneurship, and field visits to NASSCOMM. 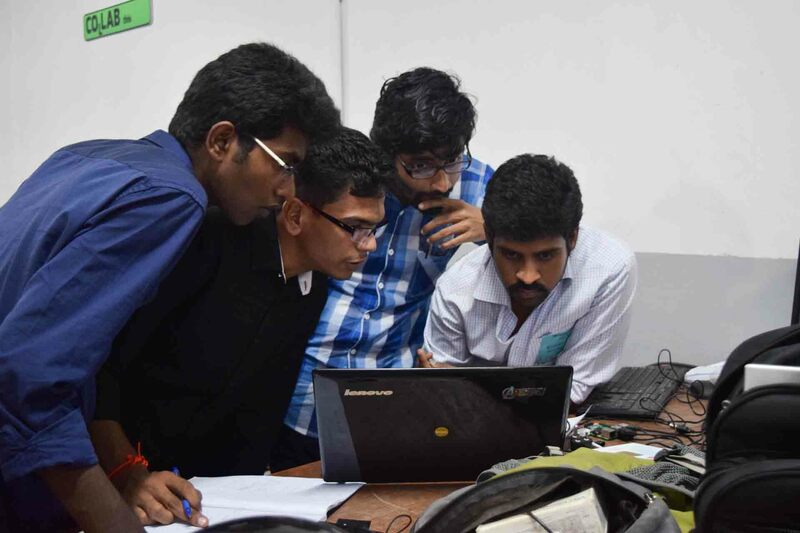 A program for the Kerala government, who wanted to activate two fablabs that they had built in Kochi and Trivandrum. 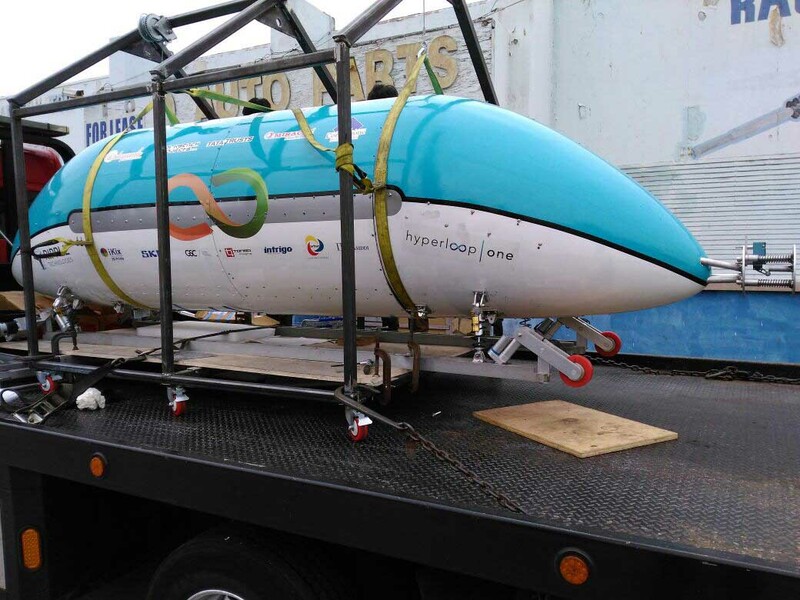 The program was designed on responsible innovation and run in three phases. 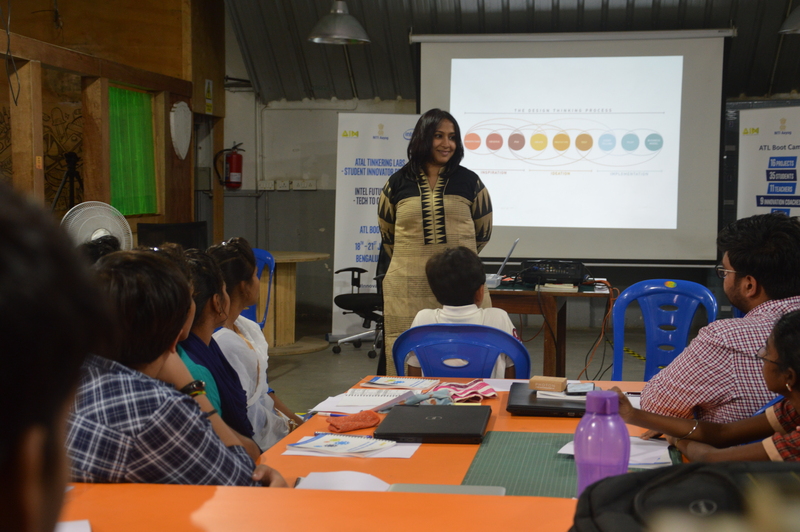 The first was a 2-day orientation and primer program in 10 colleges for paper prototyping design ideas. 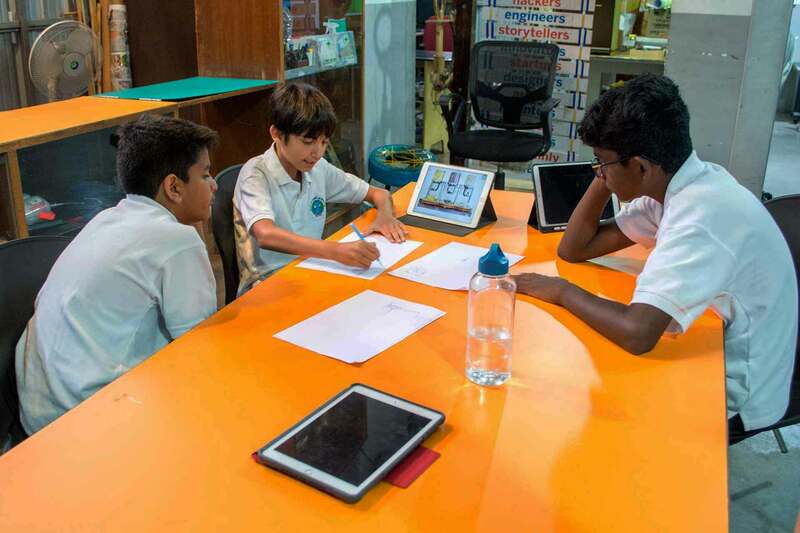 The second was the creation and refinement of the problem statement and solution ideas. 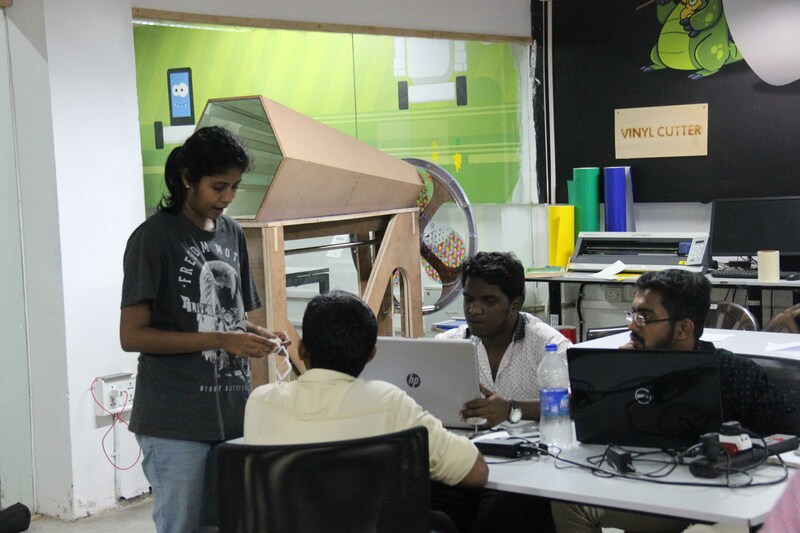 This phase also narrowed the participants down to 20teams for each fablab. 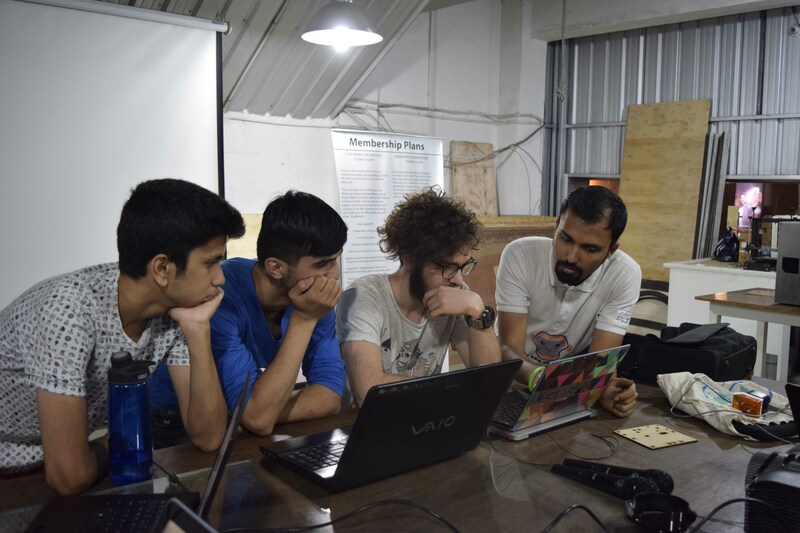 Students used the labs in the third phase to build their solutions over three days and present them to government officials. 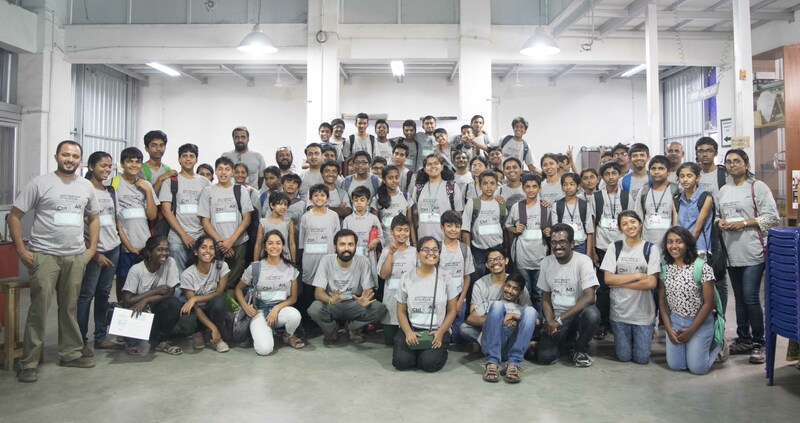 Robo Revolutions were five-day robotics workshops, conducted by Workbench Projects, swissnex India, the Autonomous Systems Lab of ETH Zurich and the Centre for Innovation of IIT Madras in 2015 and 2016. 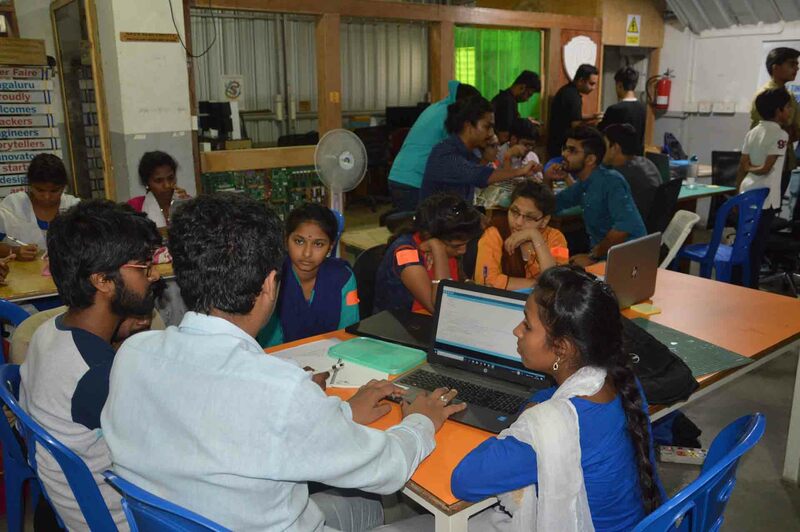 The workshops brought about 35 students from different IITs across India to design and develop robots to tackle specific problem statements. 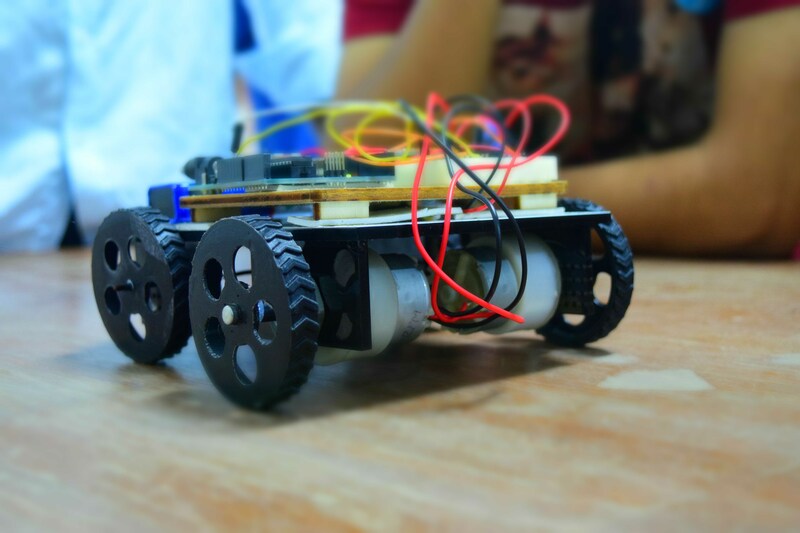 In 2015, the teams worked on swarm robots in a course, conducted by two postdoctoral students from ETH Zurich’s autonomous robots lab, resulting in the Thimio robot. 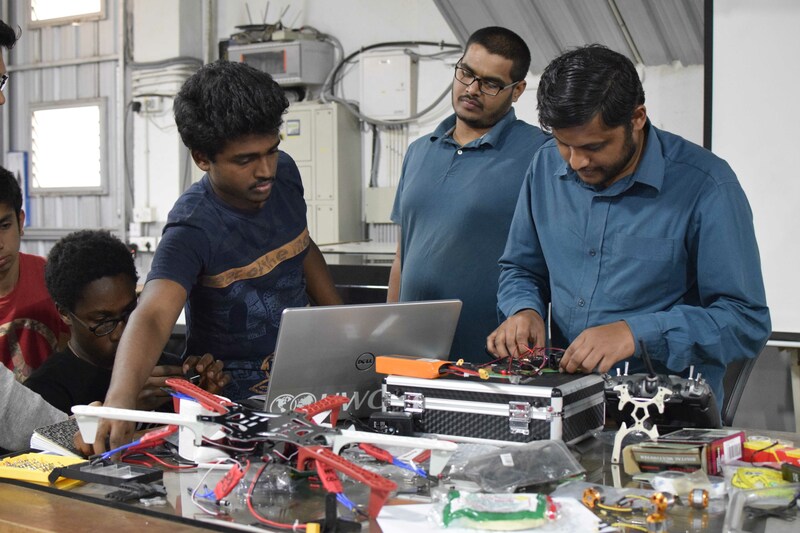 In 2016, they developed a navigation and control system for the ‘Nanins’ edutainment robots developed at ETH Zurich to measure and collect water quality. 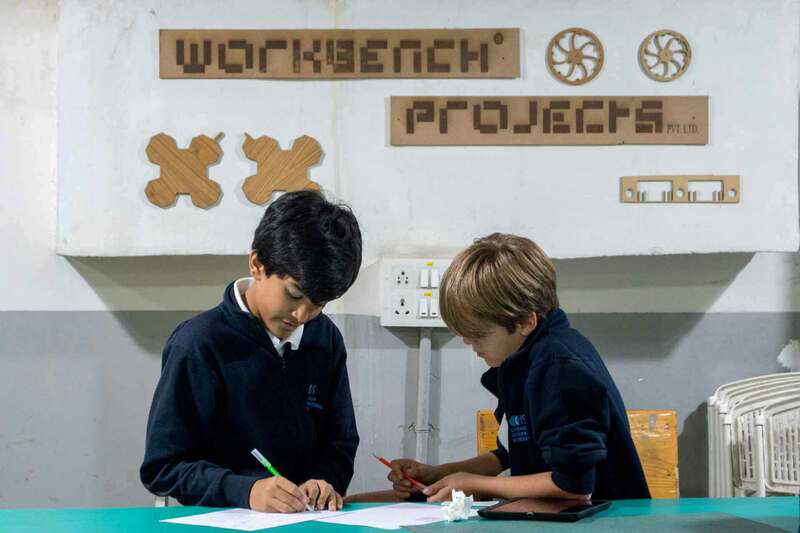 Workbench Projects conducts a semi-annual workshop with Canadian International School in Bangalore for students to design and build projects from scratch. 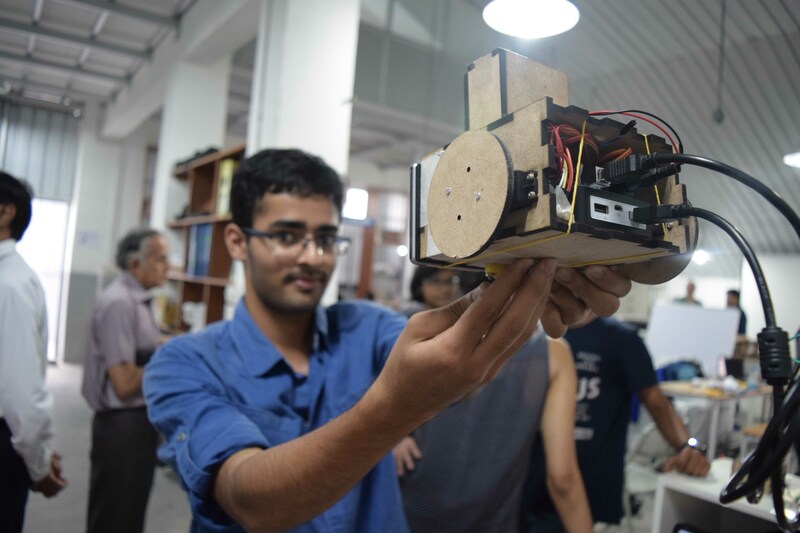 About 40-60 students attend each workshop and work on ideas, such as an automated bird feeder, over the day. Sparth was a 48-hour hackathon to explore the relation between space and art, looking through the viewing glass of science and technology. 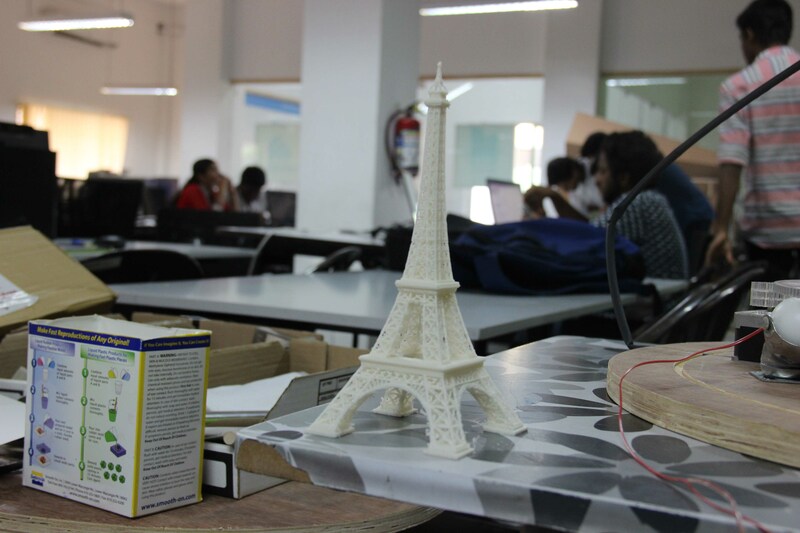 The event saw the creation of prototypes and technological solutions that could be displayed as art. 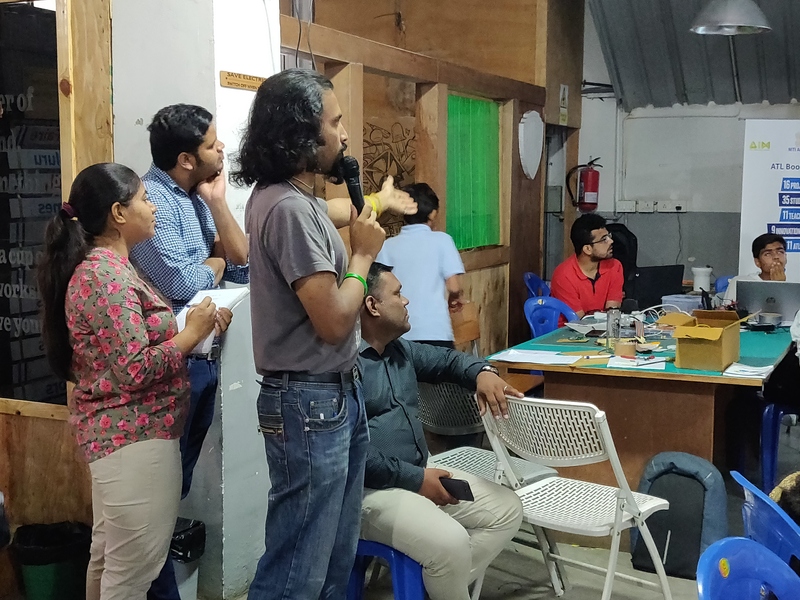 Workbench Projects’ founders Pavan and Anupama were part of an expert consultative panel for the framework creation of Atal Tinkering Labs, part of the Indian government’s Atal Innovation Mission. 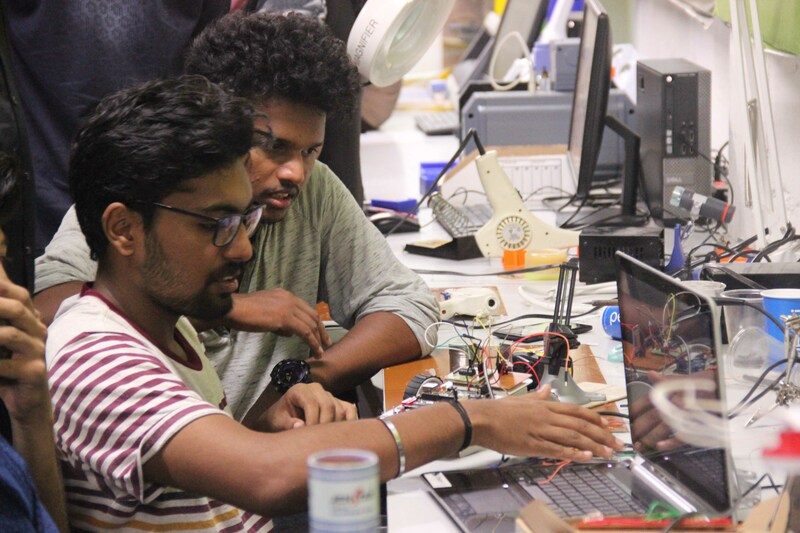 The committee explored all facets of a fablab, including how it should look, the equipment and facilities it ought to have and who would gain the most. 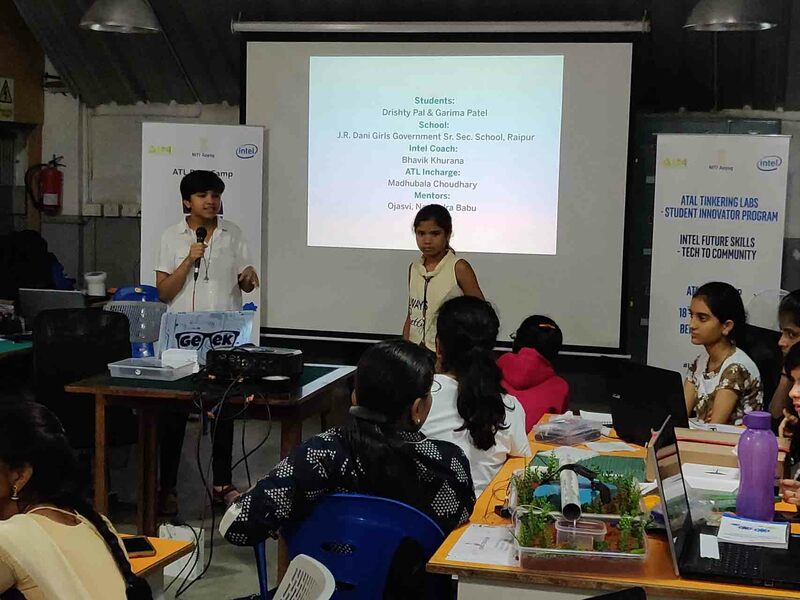 The engagement culminated in a 2-day workshop with NITI Aayog leadership and strategy team, supported by Intel. 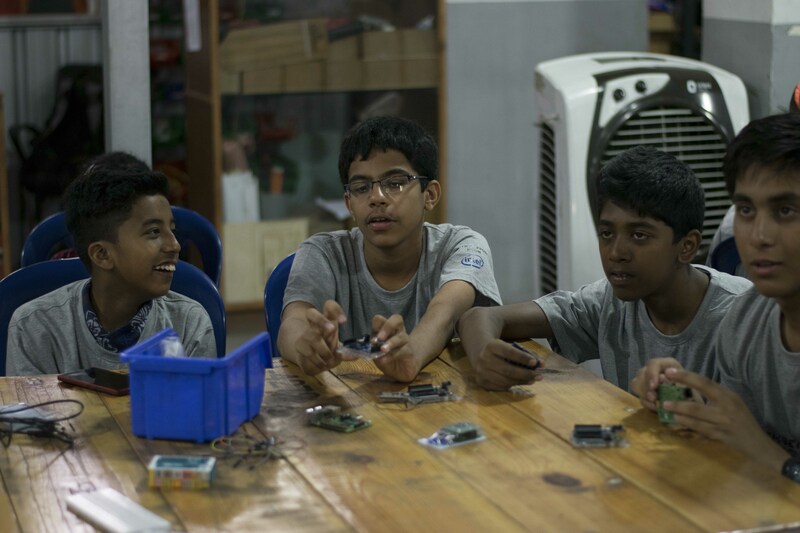 Sponsored by Intel, the 3-day program was created to provide hands-on experience with technology to alternative schools. 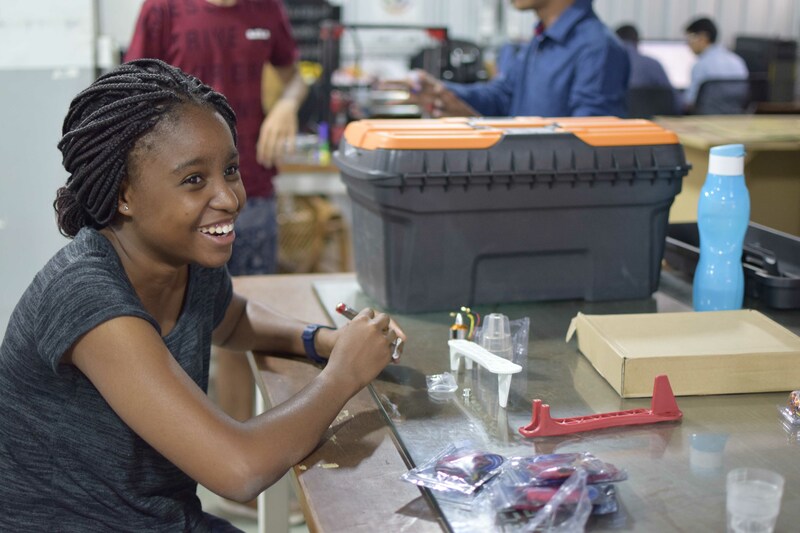 Students, some of whom were homeschooled, were given the opportunity to experiment with digital technologies, Internet-over-Things, and learn skills like 3D printing, CNC machining, coding, and carpentry. 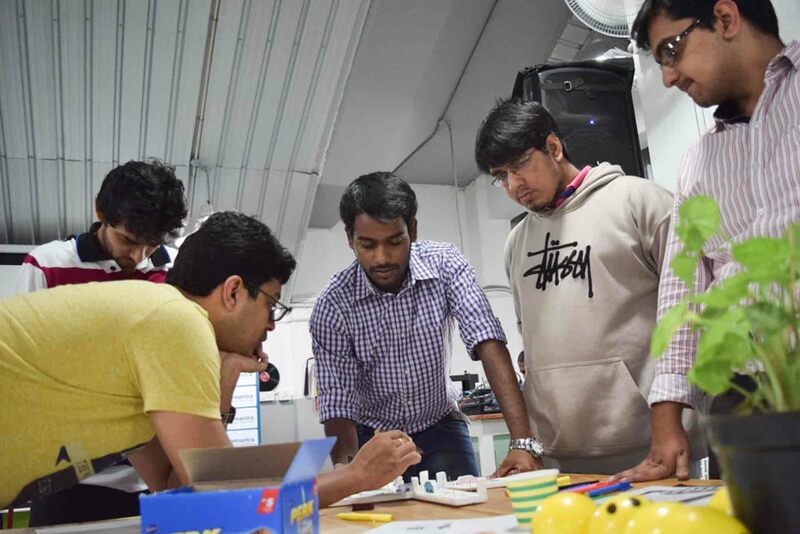 Hyderabad’s first such event, started and sponsored by the Government of Telangana through prototyping centre T-Works, saw over 40 makers from all over India come together. Workbench Projects was co-organizer and curator of the event. 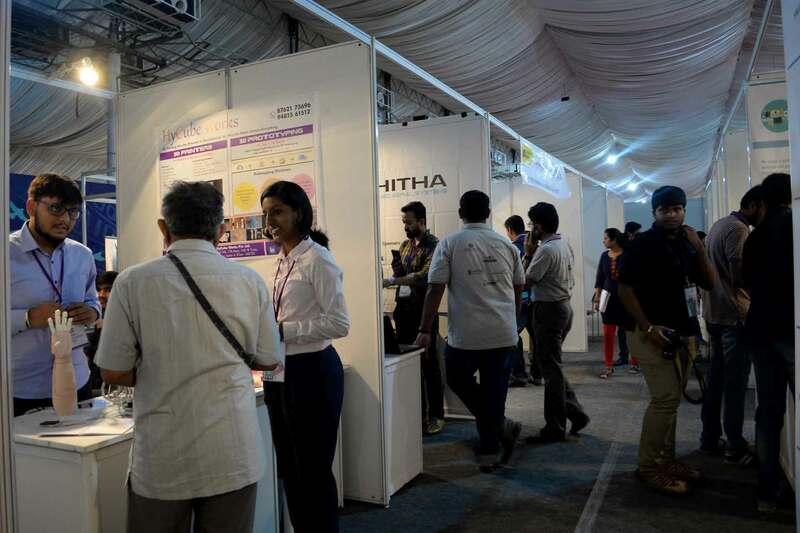 Workbench Projects curated the hardware and maker’s pavilion at the iSpirit initiative. 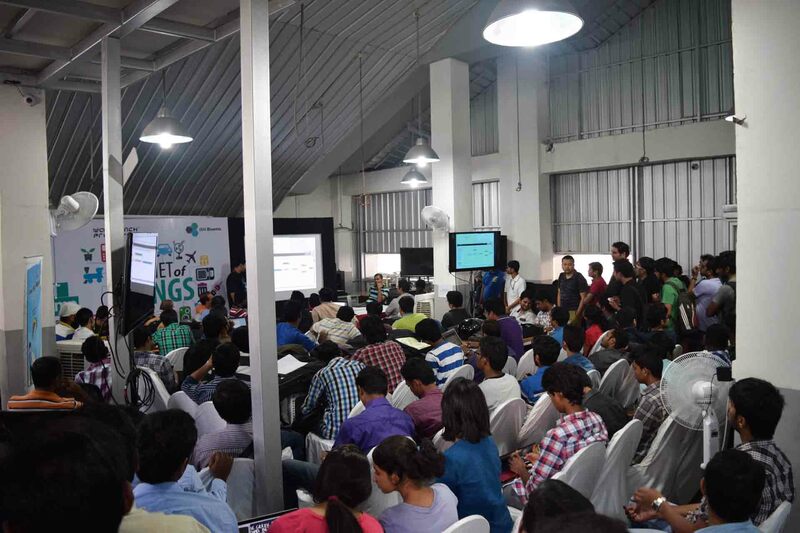 The agenda of the event was to spur the grassroots maker movement that was blooming across India. 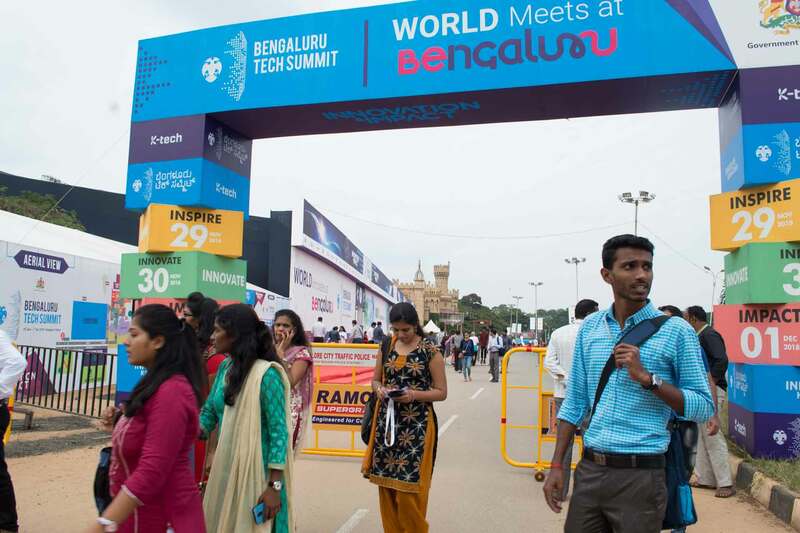 Visitors included venture capitalist and former junior finance minister Jayant Sinha and former Infosys CEO Nandan Nilekani. 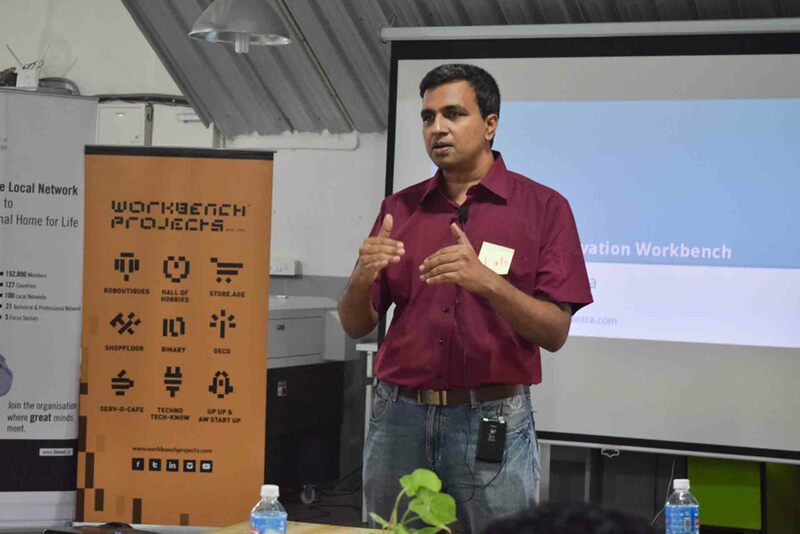 Workbench Projects curated the innovation zone at the conference. 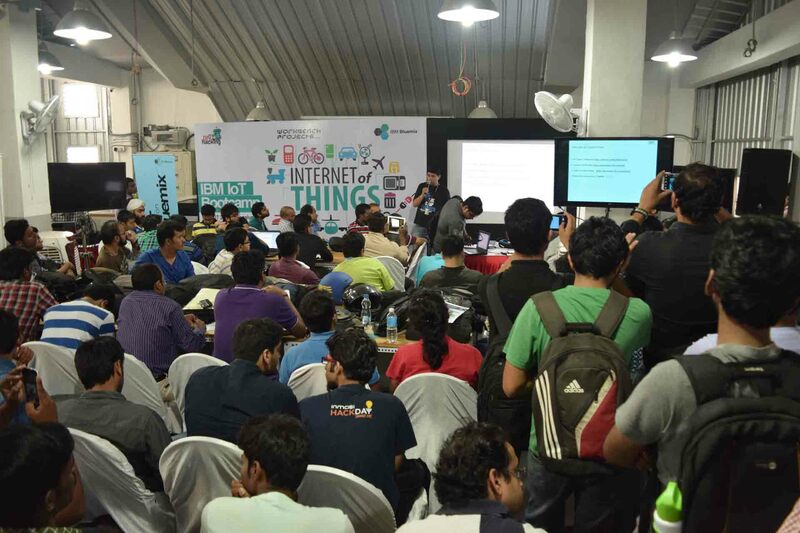 Topics of interest at the 3-day event included computer vision, hardware, Internet-Of-Things, robotics and drones. 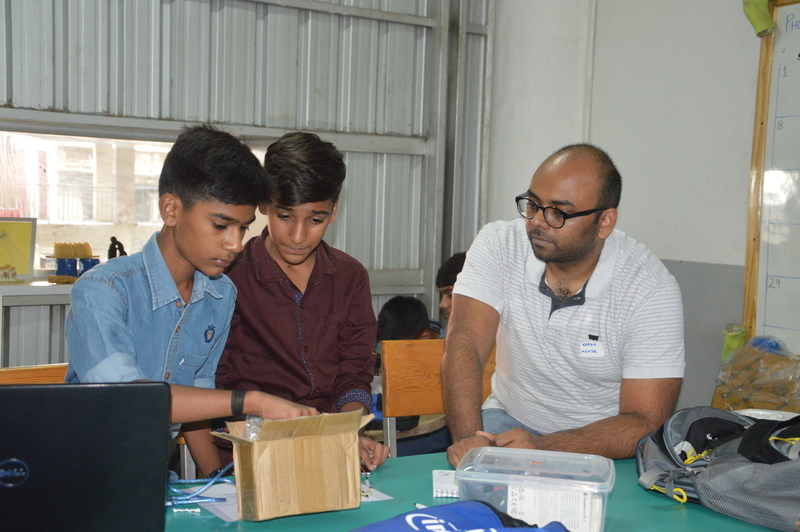 Workbench Projects also launched and conducted a 2-day Maker Faire to help proliferate and encourage the do-it-yourself culture. 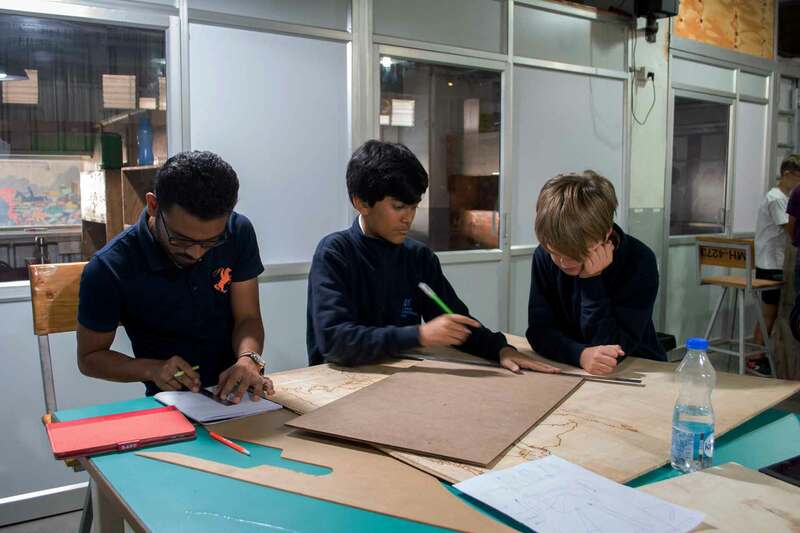 If you would like to collaborate with us, drop us a line!